Pressure over reaching maximum progress with the next EU multiannual financial framework for 2019-2027 has increased since the European Commission announced the draft budget in May 2018. Briefly, the Commission proposed a budget of EUR 1,135 billion in loan commitments, the equivalent of 1.11% of EU27 gross national income, this level translating into EUR 1,105 billion loan payments. The establishment of long-term budgets is a vital component for the operation of the European Union, which, since 1988, has had budget periods of five and seven years. Since then, budgets have had specific purposes and have originally focused on the establishment of the single market and the consolidation of the multiannual programme for research and development (the first budget), followed by the Delors II Package which prioritised social and cohesion policy, including the introduction of the euro, and since 2000, the EU has focused its budgetary policy particularly on the enlargement of the Union. Between 2007 and 2013, the focus was on sustainable development and increased competitiveness, and the concept of smart, sustainable and inclusive growth was continued and stepped up in the current period. The future budget for 2021-2027 is considered a modern, new and pragmatic approach to priorities and policies that add value to the whole of the EU. The Commission has proposed an increase in the 2021- 2027 budget, from EUR 1,087 billion (in 2014-2020) to EUR 1,279 billion (with inflation and EUR 1,135 billion without inflation) for the next MFF (expressed in the prices of 2018). Figures show an increase compared to MFF 2014-2020 which was negotiated in the light of an economic recession and was 3% lower than MFF 2007- 2013. The expenditure of the European Development Fund (EDF) for 2014-2020 has not been included in the European budget for that period, but is included in the next budget. Therefore, EP conclusion shows that when inflation is eliminated and EDF is included, there is no real growth of MFF 2021-2027 from EUR 1,138 billion (for 2014-2020) to EUR 1,135 billion (for 2021-2017), expressed in the prices of 2018. If we look at the categories of expense, we will see that the two budgets are different: if for 2014-2020, there are five categories of expense, for the future budget they increased to seven, some programmes being changed from one category to another. The increasing number of headings in MFF 2027 is due to the fact that two separate headings were created and replaced one existing heading. Heading 1 Single Market, Innovation and Digital and Heading 2 Cohesion and Values replace the current Smart and Inclusive Growth. Also, Heading 4 Migration and Border Management and Heading 5 Security and Defence replace the current Heading Security and Citizenship. Another change between the two multiannual financial frameworks envisages the budget structure. For the future MFF, the Commission proposes “modern, clear and simpler financial frameworks”. That is because the Commission considers that the funds under the current budget are distributed in too many programmes and instruments, both inside and outside the budget. The future budget will be “modern” by reducing bureaucracy for both beneficiaries and management authorities through more coherent rules based on a single regulatory framework. In addition, clear objectives are set and a stronger focus on performance is achieved, which will facilitate the monitorization and measurement of results and, if necessary, the implementation of measures. The 2027 budget will be a “simple” one because its structure will be simplified as the funds are now divided into too many programmes and instruments – both inside and outside the budget. It has been proposed to reduce the number of programmes by more than one third, from 58 in the current budget exercise to 37 for the next, by integrating fragmented funding into new integrated programmes and by radically simplifying the use of financial instruments, including through InvestEU. The “flexibility” of the 2027 budget will be reflected both within and between programmes, crisis management instruments will be consolidated while the establishment of a new “Union Reserve” was proposed to meet unpredicted challenges and emergency situations. Out of all seven categories of expense in the 2021-2027 budget, the highest funding is allocated to Heading 2 – “Cohesion and Values, with 34.5% of the EUR 1,279 billion budget, representing EUR 442.4 billion, followed by Heading 3 – “Natural and Environmental Resources” with 29.7%, the value being EUR 378.9 million, and third in terms of funding is Heading 1 – “Single Market, Innovation and the Digital Sector” with a share of 14.7%, representing EUR 187.4 billion. The Commission has also proposed a fully integrated investment fund – InvestEU, which will bring together a range of financial instruments currently available to support investment in the EU and will include the InvestEU Fund, the InvestEU Counselling Platform and the InvestEU Portal. The Fund will run in the next Multiannual Financial Framework, relying on “the success of the European Investment Trust Fund” (EFSI) by providing guarantees from the EU budget to support investment and access to European funding. InvestEU is expected to generate additional investments of EUR 650 billion to support four big political areas, such as sustainable infrastructure, research, innovation and digitalisation, SMSs and social investments and skills. The fund will trigger public and private investments by means of a guarantee from the EU budget worth EUR 38 billion to support the projects of financial partners (for example EIB, EBRD, World Bank) while increasing their capacity of assuming risks for which financial partners would contribute by over EUR 9.5 billion. The guarantee will be estimated at 40% which means over EUR 15 billion of the EU budget are booked for situations when the execution of the guarantee is required. “Single Market, Innovation and Digital” aims to allocate funding for research and innovation, strategic infrastructure, single market consolidation and other strategic projects aimed to develop and shape the single market. Since cross-border transport infrastructure is the backbone of the Single Market, contributing to the free movement of goods, services and citizens, this category includes the most important European financial instrument for transport projects – Connecting Europe Facility, which continues to finance transport projects, but also digital and energy projects. By reforming the future CEF, the synergies between the three types of infrastructure will be better operated by the programme. 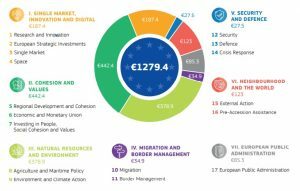 In June 2018, the European Commission proposed a 47% higher CEF budget than the current programme. The proposed CEF value for 2021-2027 is EUR 42.3 billion, of which EUR 11.7 billion is distributed between energy (EUR 8.7 billion) and digital infrastructure (EUR 3 billion). The largest CEF funding goes to transport infrastructure with a funding of EUR 30.6 billion and, within the budget, EUR 11.3 billion is earmarked for Cohesion Fund eligible member states. Also, for transport, the CEF instrument contains for the first time the concept of using the transport infrastructure for military and civil mobility. 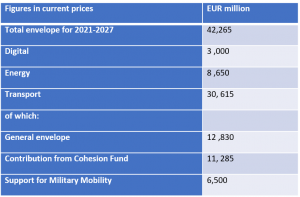 EUR 6.5 billion will be allocated to projects aimed at adapting transport infrastructure to military requirements and its mobility within the EU. In order to build a genuine defence unity by 2025, in line with the commitment made by EC President Jean-Claude Juncker this spring, the Action Plan for Improving Military Mobility within and beyond the EU was presented as facilitating the transport of troops and assets is essential for EU security. The next CEF will place a great deal of emphasis on achieving climate targets, to which 60% will go to strengthen the position of this programme within the environmental dimension. For example, allocating funding to support decarbonisation of transport by prioritising sustainable modes of transport, building an alternative fuel supply infrastructure are elements that help reduce the environmental impact the transport sector currently has. By supporting sustainable, inclusive, smart and safe mobility, the CEF will be built around Europe on the Move proposals and EU transport infrastructure policy, based on TEN-T Core Network Corridors, by 2030. At the end of November, the Committee on Industry, Research and Energy (ITRE) and the Committee on Transport and Tourism (TRAN) voted for the increase of financing for CEF 2021-2027 to ensure the development of transport, energy and telecom networks. 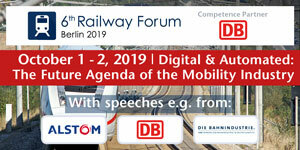 The two committees have voted for an increase worth EUR 6 billion compared to the proposal of the Commission, while for transport, funds should be directed to completing TEN-T for increased accessibility and connectivity. Therefore, MEPs announced that CEF should receive EUR 43.85 billion in the constant prices of 2018 compared to the EC proposal of EUR 42.3 billion. For transport, compared to the EC proposal of EUR 30.6 billion, lawmakers voted for an increase to EUR 33.51 billion, including the transfer of EUR 10 billion (EUR 11.26 billion in current prices) from the Cohesion Fund. In addition, EUR 5.7 billion (EUR 6.5 billion in current prices) from the financing of transport projects should be directed towards projects that adapt to the TEN-T network in order to allow dual (civil and military) infrastructure, which will determine the development of the Union of Defence. CEF is the only instrument that can directly support meeting the objectives of forming a European transport network that succeeds in contributing to establishment of the single market. EU targets aim at creating a network within two deadlines: one for 2030 and the other for 2050. Necessary investments amount to EUR 1.5 trillion, for which national, European and private resources must be intensively mobilised. 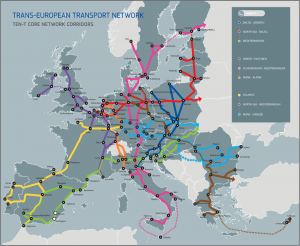 For the TEN-T Core Network Corridors to be completed in 2030, investments worth EUR 750 billion in the period 2016-2030. Apart from this evaluation, the European Commissioner for Transport Violeta Bulc called on Member States to communicate their own investment estimates for the central and global network. 25 states have sent their investment needs worth EUR 488 billion and 3 states have said the numbers are not feasible, but a general estimate for two states (out of three) and UK exclusion, have led to a total estimate of EUR 500 billion for 2021- 2030 for the TEN-T Core Network is shown in “Making the best use of new financial schemes for European transport infrastructure projects” Progress Report – January 2018 – published by the European Commission and prepared by European Coordinators Kurt Bodewig and Carlo Secchi. 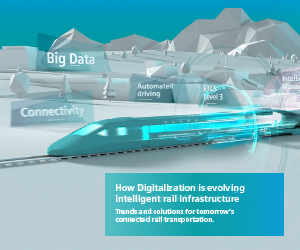 The EUR 1.5 trillion amount includes TEN-T Comprehensive Network and other investments in transport, such as urban transport, intelligent systems, modernisations etc. since several countries mentioned the increasing necessity for repairs and infrastructure maintenance. 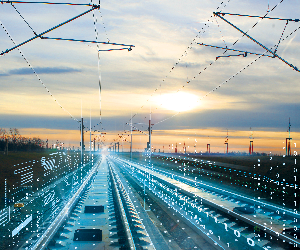 The comprehensive network, which is a multi-modal transport network, is formed by more than 138 thousand km of railway lines and over 136 thousand km of roads. The core network has over 50,762 km of railway lines, more than 34,000 km of roads and 15,715 km of inland waterways. TEN-T projects benefit from EU support through CEF, the European Fund for Strategic Investment, Horizon and European Structural and Investment Funds. The fact is that, in order to ensure the best investment level, member states and the EU must contribute and to facilitate the implication of the private sector while involved parties have to identify new financial instruments and mechanisms to establish an EU-shaped transport network. For the new budget, rapid progress has been achieved in the European Parliament and Council, within the presidency of Bulgaria and Austria, and “leaders have to provide political guidelines that would allow reaching to a rapid agreement regarding the next long-term budget”, declared Jean-Claude Juncker before the reunion of the Council in December. Adopting the next Multiannual Financial Framework by the end of 2019 will ensure that the new programmes will be up and running by 1 January 2021.